I worked as art director at Homieshop, best known for their Homies line of collectible vending machine figurines. 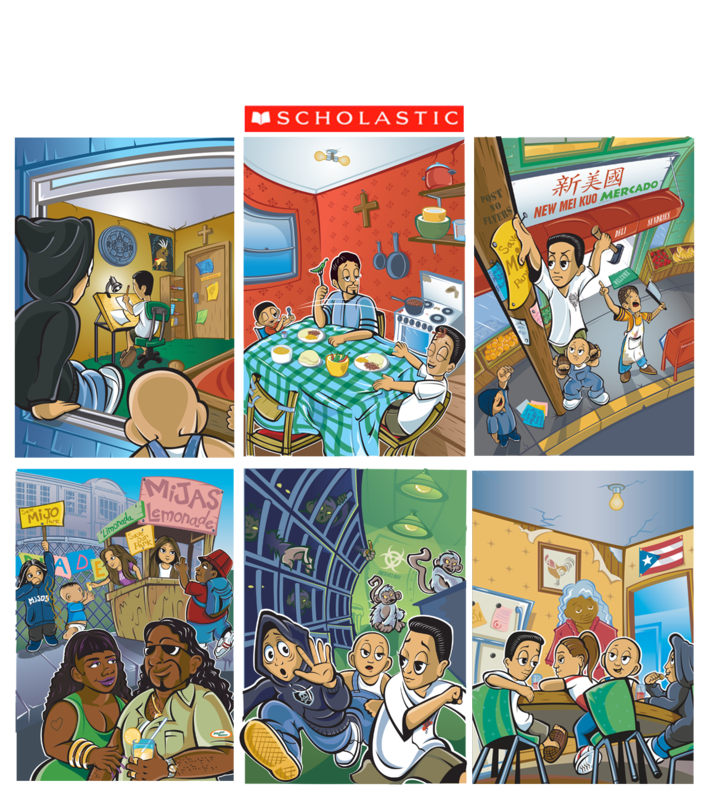 • Interior illustrations for two storybooks written by creator Dave Gonzales and published by Scholastic – Mijos: The Fiesta Face-Off and Mijos: Save Mijo Park. • Accessory art for ToyPlay's larger line of Mijos action figures. 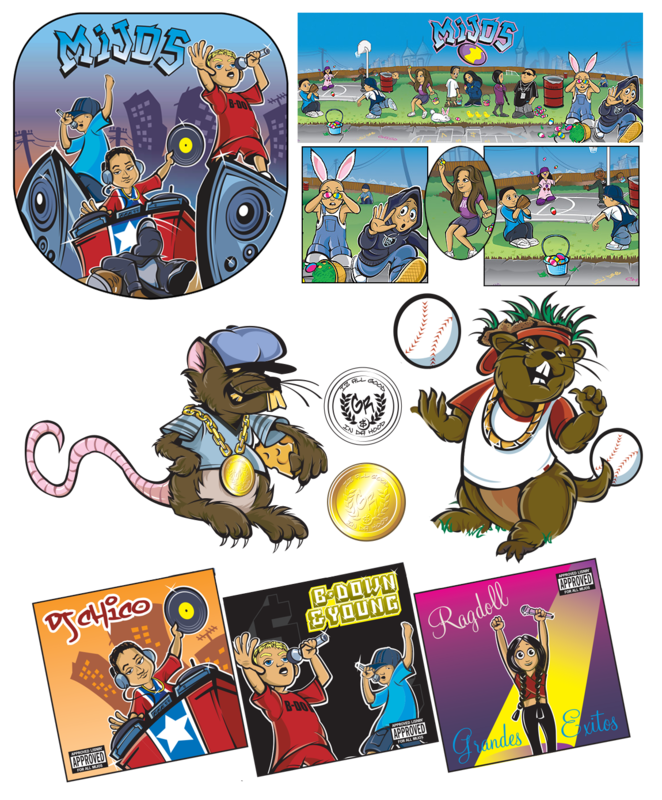 • Product art for various licensed Mijos products, including paper goods, stationery, CD wallets, and skateboards. 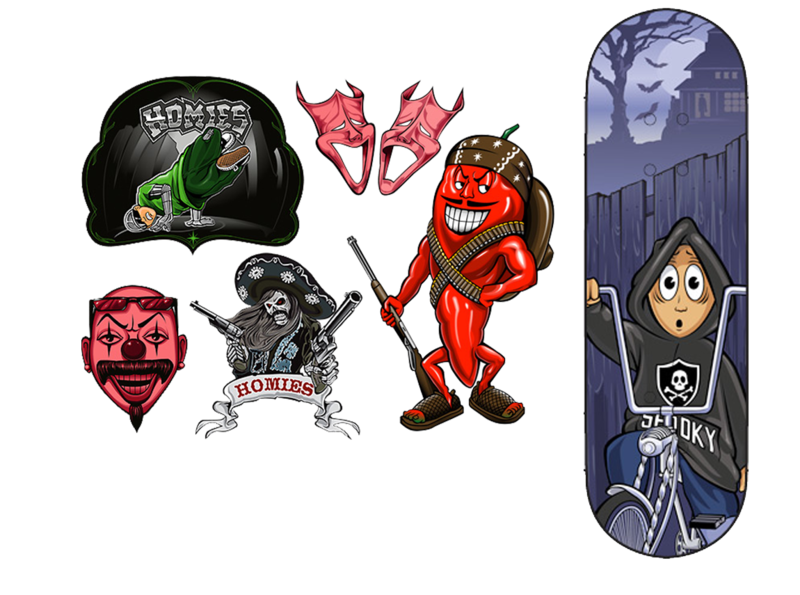 • Decal art for Lindberg's line of Homies lowrider model kit.